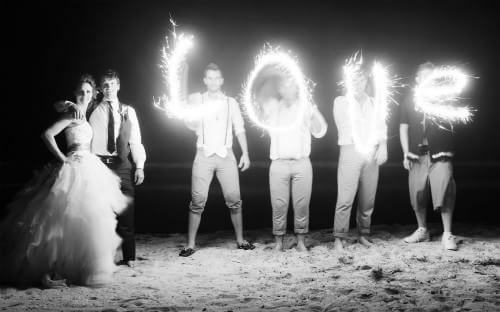 Advice from a wedding photographer for destination weddings in the Riviera Maya, Mexico. After photographing weddings for nearly 10 years in Canada, I decided to change things up and move to paradise aka Playa del Carmen, Mexico, and photograph much smaller more intimate weddings here in the Mayan Riviera. It is really is a paradise…. The beaches are white, pristine and go on for miles and the turquoise wave lap at them. Actually to call the sea here turquoise is a cliche, it definitely has turquoise bits but it ranges from azure, to cerulean to indigo over the reefs… A whole palate of colours that are ever changing. 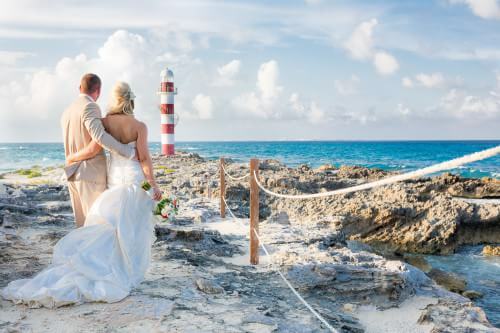 It’s not surprising with scenery like this that the Mayan Riviera, has become one of the premier destination wedding locations in the World. 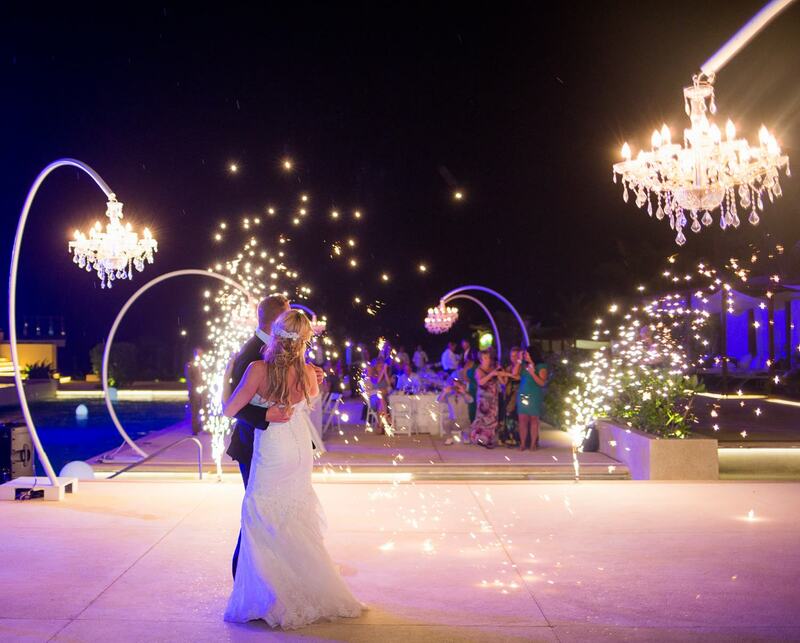 After all, every little girl has a dream of her perfect beach wedding and the Riviera Maya can deliver on every count… especially if you remember a few things that can make your wedding perfect…. they might seem obvious but you would be amazed at how often they are overlooked or forgotten about…this section is all about you NOT making those mistakes. It’s about allowing you to leveraging my knowledge as a wedding photographer over the past 10 years so that you have a wonderful stress free day. Here are a few of the sections contained within the advice section and always check back for more! 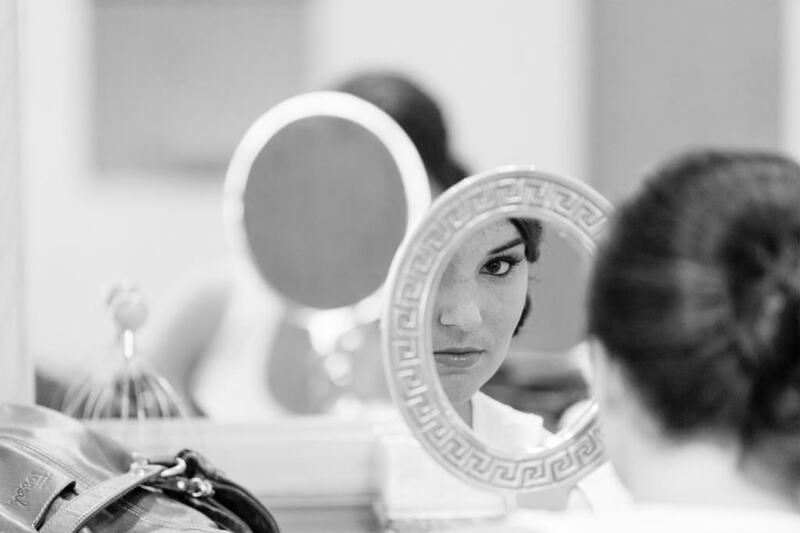 Wedding Beach Bridal Makeup Tips. This is one article that I hope everyone reads. When I first started photographing in Mexico I was stunned at the amount of poor makeup I was seeing! It took me by surprise and I soon started working with my brides on how to either do their own makeup or make sure they really direct their makeup artists. There are huge cultural differences between how makeup is applied in Mexico vs how it is applied in the United States and Canada. Ever since I have started advising couples on how to work with makeup artists for their wedding things have really changed. For the better. So if you only read one article, please let it be this one! How to Prepare For Your Trash The Dress Session. Tips and advice on how to prepare for your Trash the Dress session. 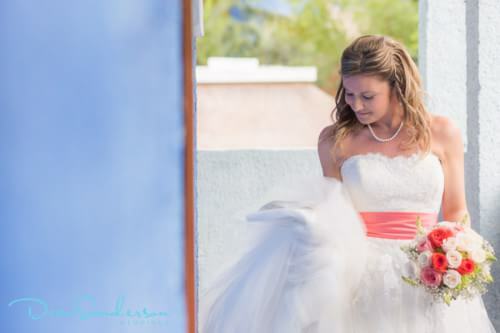 If you have a Trash the Dress booked with us please read this article. And if you are interested in doing a Trash the Dress while you are here in Mexico and are not sure if you will be able to do it, read this article. It’s not nearly as difficult as you might thing. I’ve photographed paraplegics as well as people who literally could not swim. And they all turned out great! Little Trick to Get Great Champagne at Your Wedding. How to Time Your Wedding Photography for Sunset. The timing of your day is crucial if you want to get great wedding photos. 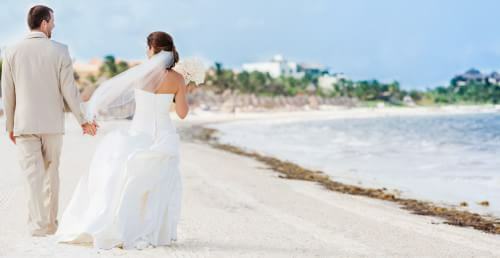 This is a must read for anyone have a wedding in the Mayan Riviera. I would love to say more about this, but I would simply be repeating myself. If you have not read this, please do. I send this to all my clients and it is a must ready as the timing of your wedding revolves around the time of the sunset… It’s that simple. Tie Clip Advice From a Wedding Photographer. As a wedding photographer, I am very much an attention to the details type of guy. This little idea of having a tie clip, or at least a safety pin ready is a must if the groom or the father of the bride plan on wearing a tie to the wedding. Such a simple solution can help you get much better wedding photographs. Some advice you might want to share with the second most important man on the day… the father of the bride. I’m sure that if you were having a wedding in a church back home, he would know exactly what to wear, but beach wedding? What? mmm… and please don’t let him wear a dark shirt to your wedding. Beach Hair Advice From a Wedding Photographer. Staying Sun Smart at your Destination Wedding. Don’t let one of your bridesmaids or groomsmen show up to your wedding looking like a lobster. Talk to them about the sun and why it is important to you that they come to your wedding prepared… In this article I give you some advice on how I think you should tackle this topic. When I (Amy) got married, I chose to have two photographers at my wedding because it made perfect sense for what I wanted out of my wedding, for my family, and for the setup of my ceremony. Today, it seems like having two photographers, though, is an increasing trend, even though there isn’t always a need for it. 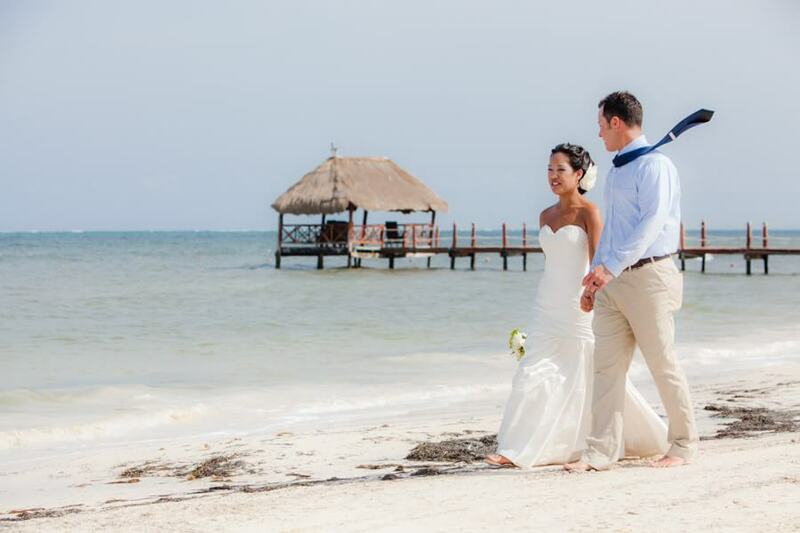 There are a lot of factors that go into deciding whether or not to hire two Cancun wedding photographers. Read on for tips to help you make that choice. Tips on How to Choose a Wedding Dress. Some wedding photographers won’t give you the advice you need on being comfortable (emotionally and physically) in your wedding dress. Anna’s article about choosing the right dress for you, your wedding, and your photos will help you say no to stress and YES to the dress! Every bride wants to look skinnier on her wedding day. That’s why brides work out and diet til they drop! But the truth of the matter is that you don’t have to do those things to make yourself look amazing. You just need a little knowhow on choosing the right dress, doing your hair, doing your makeup, and learning how to stand. 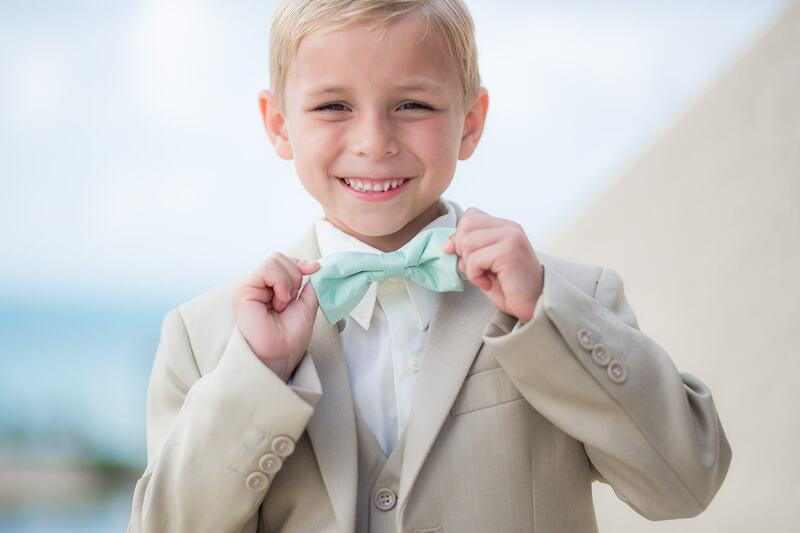 From holding your arms, to the “T” stance, to keeping Dean right by your side throughout the wedding to give you the perfect tips, we’re right here to help you look your best. When you’re making plans for your big day, photography is at the top of your list. 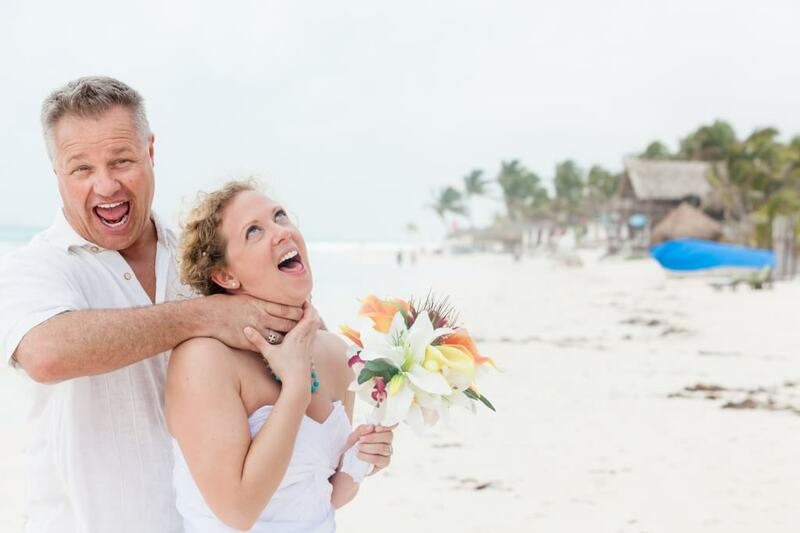 You know that you have to choose a good Mexico wedding photographer for your nuptials. 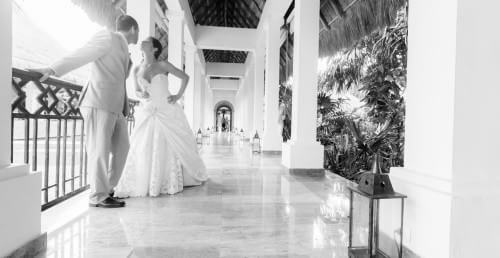 There are plenty of reasons to hire a professional photographer for your Mexico wedding. And these are just a few. 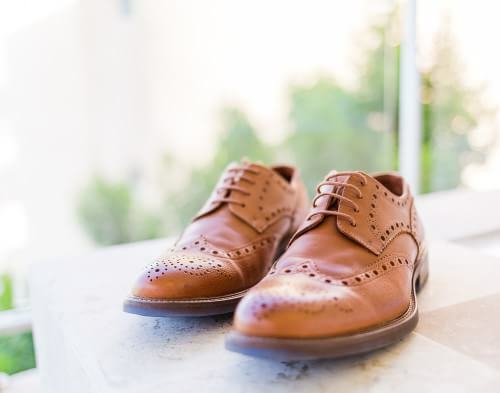 The bride isn’t the only one that needs to be comfortable on your wedding day. 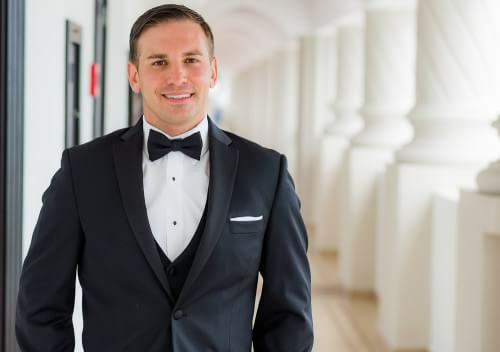 Remember that the groom and his groomsmen also have to make it through the entire wedding and look great from the time they head down the aisle to the first kiss, and all the way through the reception. 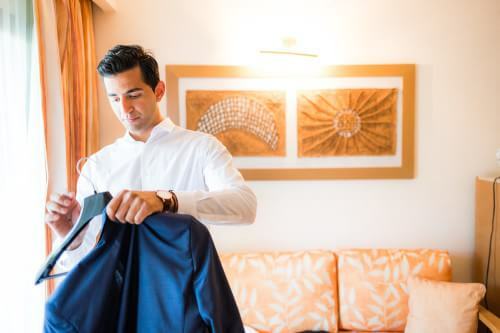 Picking the right attire can help keep the men in your wedding comfortable, happy, and sweat-free from beginning to end of your big day. What Happens to My Mexico Wedding Photos After the Wedding? 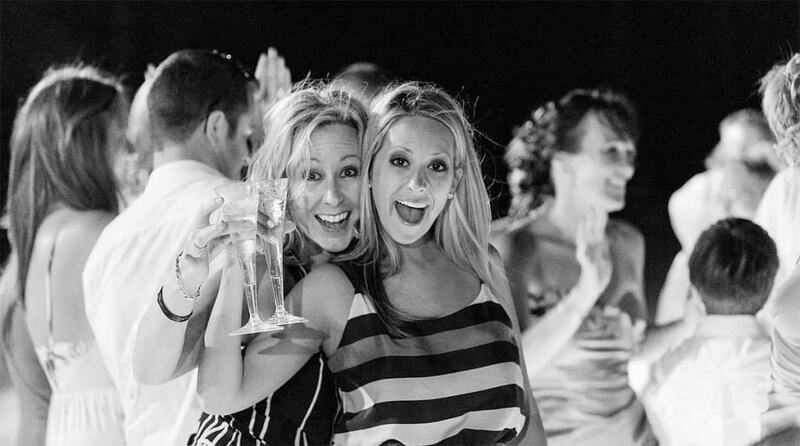 Once the wedding is over, you’ll want your photographs as soon as possible to remember it by. And you’ll probably also have a lot of questions about the quality, quantity, and delivery timeframe for your memories. That’s why we put together this short introduction to understanding the process your photos go through from the moment they’re taken to the moment they’re yours forever. 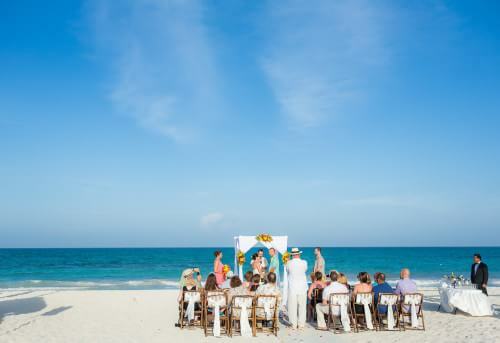 Your Cancun wedding is supposed to be the best time of your life. And it can be. All you have to do is read this article for the tips and tricks that will help you learn which tasks to delegate, what to “let go,” and how to let yourself love your resort, your dress, your ceremony, your guests, your spouse, your Cancun wedding photographer, and everything else that comes with planning a destination wedding. A little guide for men getting married on the beach and don’t want to be sweating their butts off as she walks down the isle. 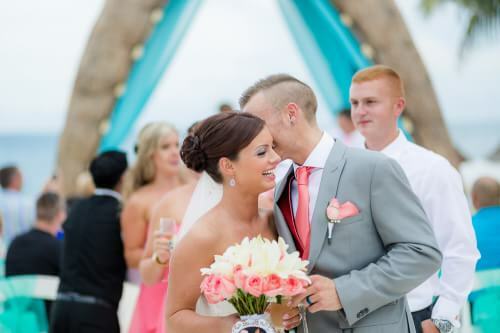 Inside you will find helpful hints that will keep you cooler and happier at your Cancun wedding. 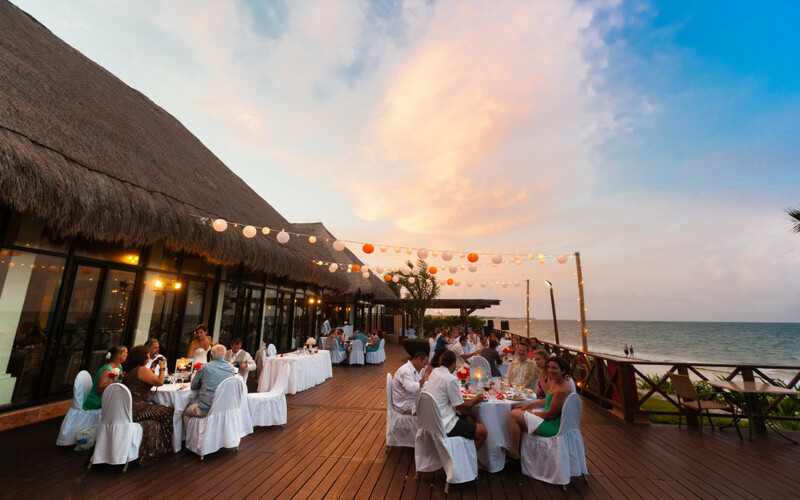 Great Advice from Wedding Planner Sarah Glick from Brillant Event Planning on How to Book your Destination Wedding. If you are in the process of booking a location for your destination wedding, this is a great read. 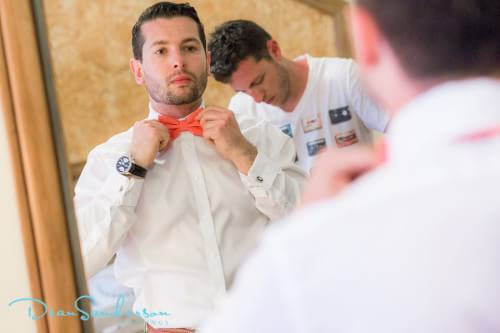 Bow Ties for a Beach Cancun Wedding? You’d Better Believe It! 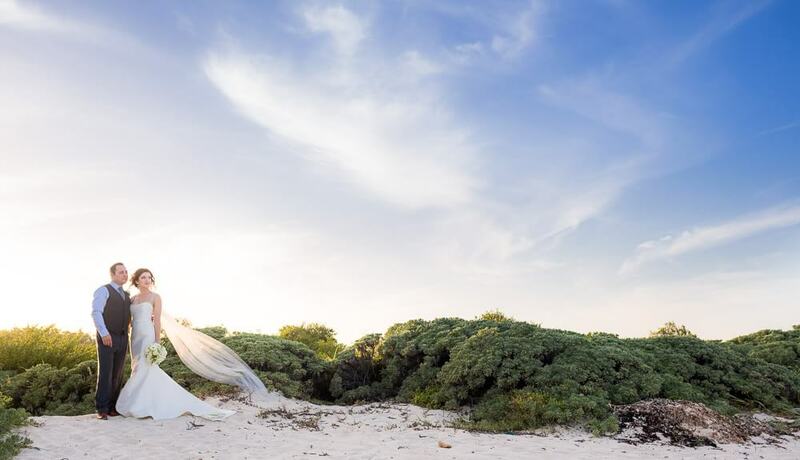 Trying to think of how to change up the style of your beach wedding or add a little formal to the inherently informal nature of a beach wedding.? Guys, think of the bow tie. It doesn’t flap in your face. It looks cool. It’s trendy and classic all at the same time. Beach Wedding Etiquette… Is There such a thing? 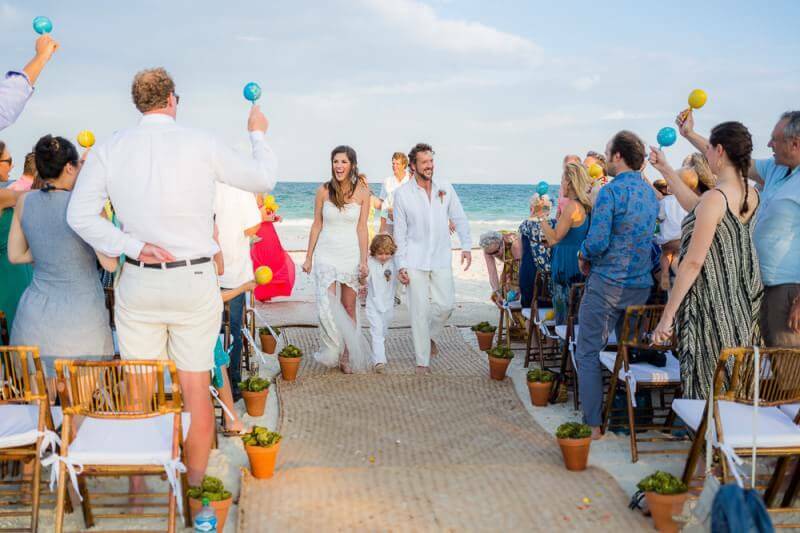 Should you Wear a Suit to your Mayan Riviera Wedding? 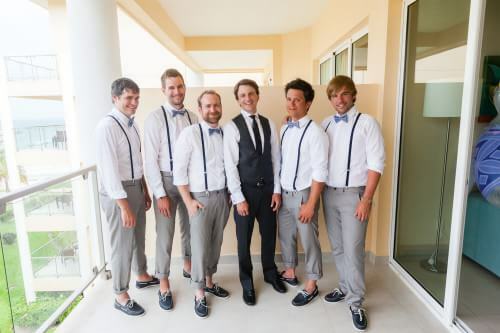 As a guy deciding what to wear to your Mayan Riviera wedding can be a little difficult. Lets face it, she has it easy, she’s wearing a white dress. For a guy though, there are a lot more things to consider as the standard rules don’t really apply when you move the ceremony onto the sand and under the open sky. For starters a suit might be one of the hottest decisions you make, and not hot in the good way. 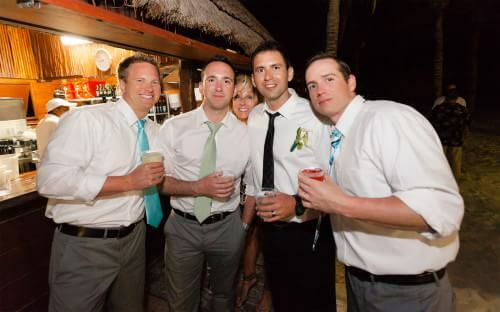 As the groom, your best man and all the guys in your wedding party mean a lot to you. 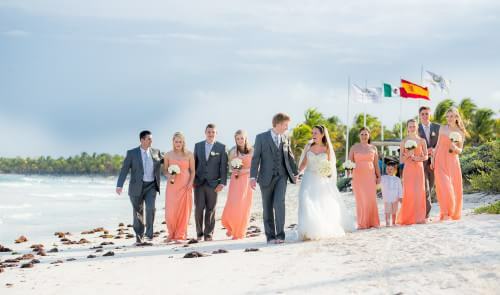 They’ve been there for you through thick and thin, they may share a few secrets with you, and you know they’ll be the first ones on the plane to leave for your Mexican beach wedding. Although getting married is your number one priority, you still want the guys to have a great time and a memorable experience. 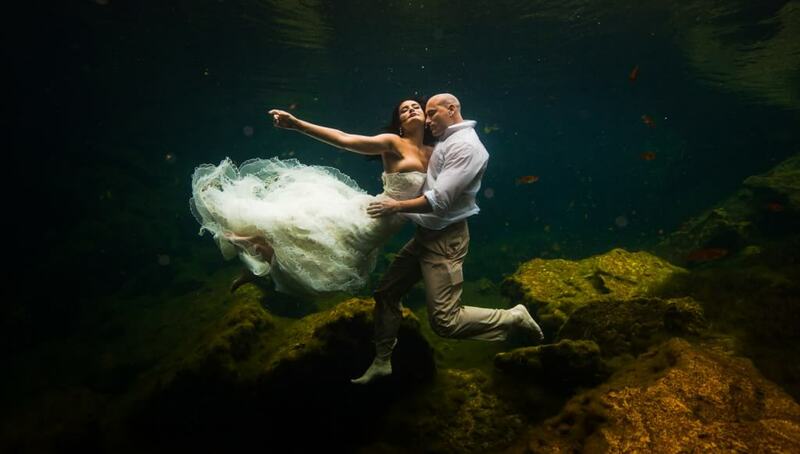 Your Girl Wants to Do an Underwater “Trash The Dress” After The Wedding…Now What? 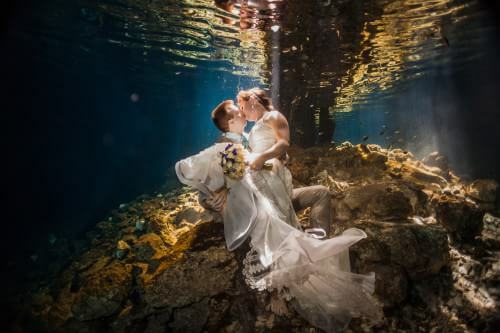 The beach wedding is a cool idea, but why in the world would she want to trash her dress, and who gets wedding photos taken underwater? And is that even possible? Well it is and it’s an amazing experience you will never regret. 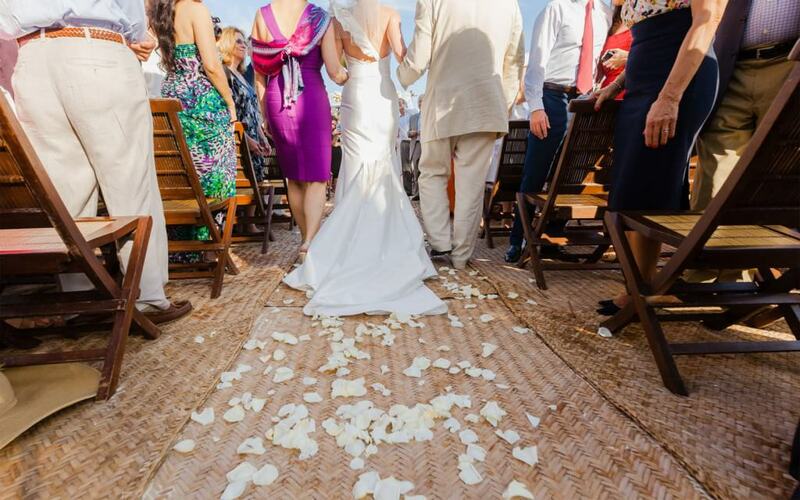 A Riviera Maya Wedding carries with it a lot of factors that aren’t present in a standard ‘close-to-home’ event. You know about the travel, the hotel bookings, smaller guest lists and potential for weather to affect the proceedings. Now, here are 5 things you probably haven’t considered. 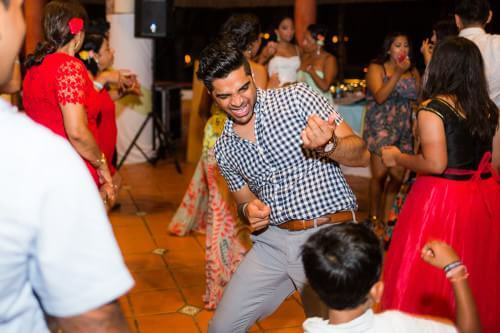 With so much to do in preparation for a Cancun Wedding, and so much emphasis on the bride and bridesmaids, it’s not unusual for some of the smaller guys’ issues to get lost in the shuffle. 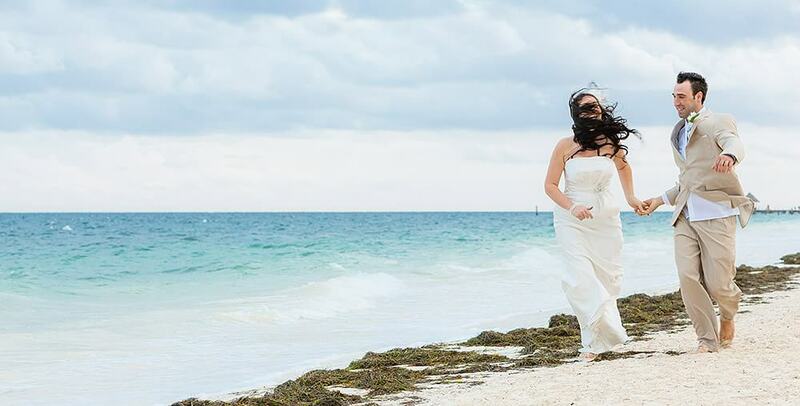 As an example, the wind on the beach and how it may affect the groom’s hair probably doesn’t cross anyone’s mind until it becomes an actual problem during the ceremony or wedding photos. You can throw the best man and groomsmen in there, too. 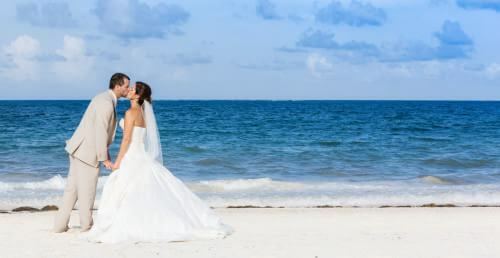 In my opinion, it is imperative that you find a Riviera Maya wedding photographer that can produce photos that will make you smile every time you open up that wedding album or walk by that wall with all the photos on it. Since there are so many factors involved in planning a successful destination wedding, making mistakes when choosing your photographer is not unusual. Should You Hire Two Photographers for a Destination Wedding or Will One Suffice? Sometimes, when I am speaking to a couple about the best way to organize and execute their Mexico wedding photos, the topic of two photographers comes up. They may ask if it would be better to use two photographers instead of just one, or I might let them know that the type of wedding album they envision would benefit from having two. 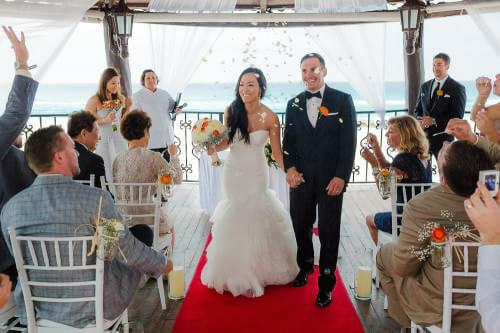 Walking down the aisle is one of those “once-in-a-lifetime” moments, and all eyes will be on you and your dress. Of course, most brides know the basics when it comes to dress shopping: Choose a style that represents your personality and makes you feel beautiful. It’s almost surprising, however, how many brides overlook one of the most important aspects of her wedding dress – the tailoring. All of the basic rules of entertaining still apply when you are hosting a wedding, as well as a couple additional ones. Here are some wedding faux pas that are commonly made and how you can avoid making them yourself. When I go to a wedding I find that people tend to forget the same small things over and over again. Many of these things are simple, and you can go put them in your suitcase right now so that you know that you will have them with you on your Destination Wedding.